It is what it is, 3rd party Graded book. Case is old but undamaged. On this book, on me. This book was slabbed way back in 2002. 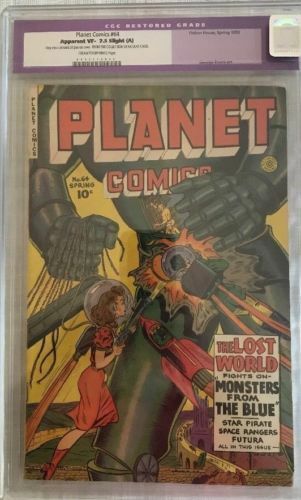 I would say it has probably not been pressed, and after examining the book within the case and noticing the plump spine etc, I would say it would definitely benefit from a press and possibly obtain a grade bump, considering it was graded back in the 'old label stricter days' of CGC. The book has beautiful colours and would look spectacular in one of the new cases. It was given a purple label because of 'a very minor amount of glue'. We've all seen books that have received a blue label in recent times for having more glue than this. This book (as noted on the label) comes from the NIC CAGE COLLECTION. Finally an Unrestored CGC 8.0 recently sold on ebay on 10 July for $710. This book has no pen marks, stamps or blemishes etc. There are no marks on the book, I have included a few pics taken with my camera today to show this. Any apparent marks are a result of glare from the camera/case or both. 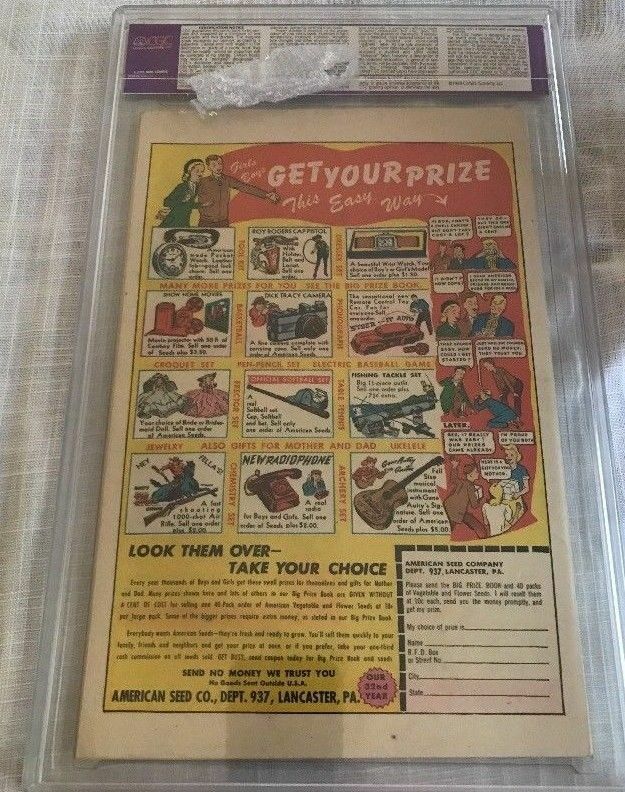 Likewise on the rear cover, there are no marks by the 'get this prize', either on the book or the case, so I've no idea what's causing this. I am including tracked/insured/signed for shipping in the price. A few more pics without any glare. Those minor amount of glue purples drive me crazy. Especially on a very great one like this. Thanks for all the views, likes etc.